Large and medium sized businesses use separate applications to run their business and one of the major areas that need to converge amongst these applications is the Accounting, Financial and Inventory information.To meet the challenges of the new business environment, information systems need to communicate with each other as seamlessly as possible, provide right-time visibility of transactions across the entire enterprise and be flexible enough to accommodate the changing structure of the business. When more and more information needs to be shared across traditional business boundaries, the way you integrate your systems and processes is rapidly becoming one of the most important priorities in business today. EasyEcom helps automate the entire invoicing and tax calculation process with the state of the art tax engine. Auto generation of invoices, credit notes and Purchase orders streamline the accounting system while eliminating the manual intervention. EasyEcom lets you handle the business while taking care of the entire accounting part. The invoices are generated and the tax is calculated accurately for every order processed in the system. EasyEcom has integration with all the major accounting ERP solutions to enable a seamless transfer of data. The fully automated integration transfers data faster at the click of a button. 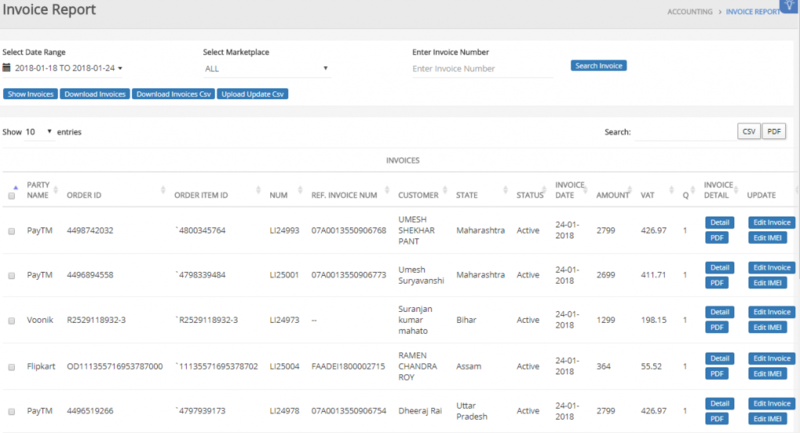 For every order entered in the panel generates an invoice in the system. Similarly for every return marked in the system one credit note is generated. The tax report reflects the amount of tax to be paid and credit to be claimed. The reconciliation report is very helpful in compliance issue and saves time and money. What the clients have to say? 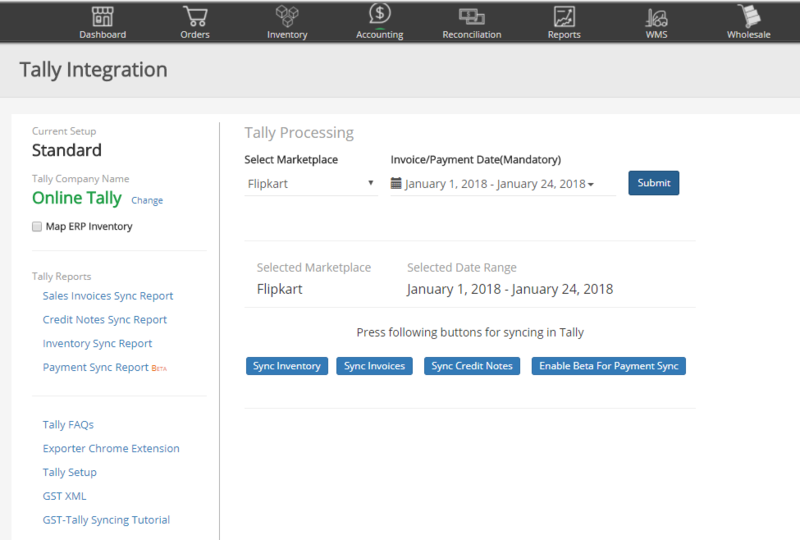 We used logic ERP before and it did not support eCommerce. With EasyEcom, our inventory turnover ratio has improved by around 25% and volumes have grown 150% over the period of 18 months. We carry expensive items in our inventory. That doesn’t allow us to segregate eCommerce inventory. EasyEcom helped establish the shared inventory process for our company across all the sales channels. Excellent product with world class service. 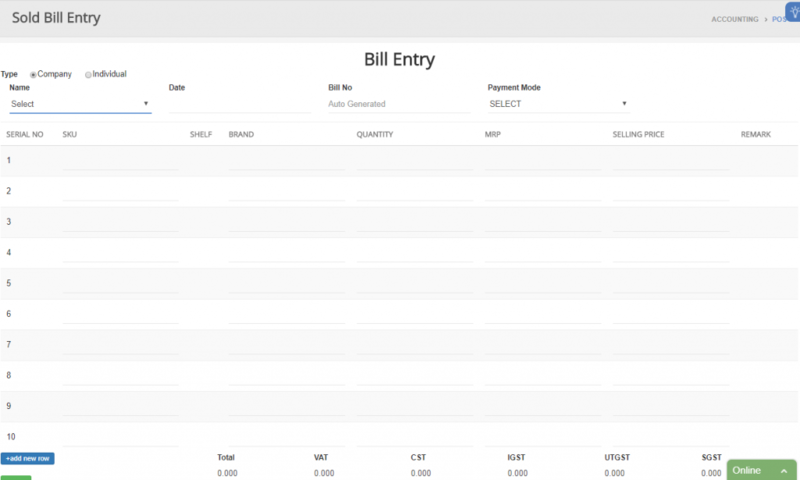 EasyEcom provides a simplified panel to edit and create invoices. It eliminates the requirement of managing different accounting tool to geenrate invoices and credit notes. The crucial feature of a good POS system is software integration with your accounting operating system. Through EasyEcom POS system the offline business can be integrated with your online channels there by having a consolidated tax report and accounting process. EasyEcom aggregates all the sales and returns across channels and helps brands calculate the tax. No need to manage large spreadsheets and complex formulae for tax calculation.